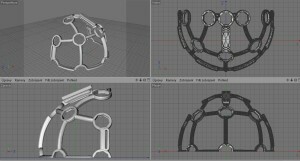 3D modeling is an important aspect of 3D printing and enables you to create anything you can imagine. Here at MakersLab we can give you advice on 3D modeling or model things for you. Are you creative and have ideas for what you want to print, but do not have experience in 3D modeling? Let our designers here at MakersLab model and print your ideas. If you already have some modeling experience and you are interested in learning how to take the last step for 3D printing your models, we suggest that you attend one of our workshops devoted to modeling for 3D printing. 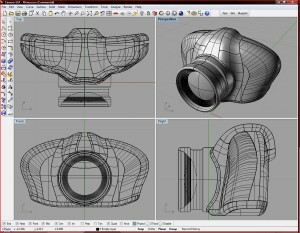 In order to model your ideas, we will need a sketch with the size (dimensions) of the object that you want to be modeled. You can also come to MakersLab with a physical object that you want modeled. You can send us a picture of something you found on the internet, for example, and we can work on modeling it so that it can finally be printed. Modeling is often faster and cheaper than 3D scanning.